Donald Fleming, Simon Willes and Paul Thornton of Gazelle Corporate Finance, which advises the trustees of some of the largest UK defined benefit pension schemes, offer their views on important questions facing FDs in this specific industry sector. Defined benefit pension schemes were once a major part of a corporate remuneration package, but now they are being seen more as a financial risk liability. For a smaller business, the endgame would be to buy out. For larger schemes, where a buyout might not be feasible, the need to de-risk has come to the fore. Paul Thornton, Donald Fleming and Simon Willes of independent pension advisory group Gazelle Corporate Finance share their views on the subject. How should FDs see de-risking? Are they too focused on short-term financial performance? Paul Thornton, chairman, pensions advisory: FDs often look at de-risking in terms of opportunity cost - 'If we hadn't spent money on de-risking, we could have bought a new factory'. They need to think 'This is adding value to our business because we've removed this very dangerous area of risk'. We are trying to help it along with our own thinking. "Increasingly, pension schemes will be seen as ‘legacy’ liabilities, and for FDs they will be a significant source of financial risk." Donald Fleming, managing director, pensions advisory: Today's finance director is focused heavily on what the investor base and equity analysts are saying about pension risk. But the analysts are often still using market measures of pension risk and relying on fairly basic accounting measures. This focus is not always helpful in that it may work against the real problem, which is containing and managing overall pension scheme risk rather than just reducing pension contributions - which may make for a much bigger problem later on. We need to move to a more holistic measurement and management of pension risk. What form of de-risking should FDs be looking at? PT: Increasingly, pension schemes will be seen as 'legacy' liabilities, and for FDs they will be a significant source of financial risk. The issue can hang over a company's share price and credit rating, limiting strategic options. Against this background FDs should have a long-term game plan for de-risking. Pension trustees can be expected to welcome de-risking measures, if not actively initiate them with the company as part of funding negotiations. DF: For most smaller and medium schemes, the ultimate solution will be an insured buyout. This fully removes the financial risk by transferring both liabilities and assets to the insurance provider at a cost that reflects the strength of the scheme. For schemes that may be too large for the insurance market to absorb, 'self-sufficiency' is a more realistic aim, where liability risks are fully hedged without recourse to the insurance market. The cost of moving to such a position should be viewed against the shareholder value created as well as the value for money in actuarial terms. PT: It makes sense to introduce as many risk reduction measures as possible. The foremost risks to hedge are usually interest rate and inflation risk, and these are commonly done through swaps. Equity risk may be diversified by the use of 'alternative assets'. Once these risks have been addressed, longevity risk may need consideration. Trustees and FDs need to proceed with caution, as at this stage of the market there may be residual counterparty risk and hidden costs arising from a lack of transparency. Simon Willes, executive chairman: De-risking comes at a price, but FDs need to embrace this by considering the value added to the business by removing unnecessary risk. Are FDs too reliant on equity performance to get them out of deficit repair problems? PT: Ever since the 1960s there has been an implicit faith that equities will give a higher return in the long run, if you see them through the ups and downs. Particularly in the 90's that paid off handsomely. It's taken quite a few years of financial crisis to shake that implicit faith. At the same time, many employers have realised that, once a scheme got into deficit, if they should get out of equities and into gilts they would just be sealing their fate. As long as they continued to hold some equities, which might bounce back, they could get out of trouble. So there has been much less de-risking than has been needed. DF: Unfortunately, the last several years have shown that there is high risk in maintaining an equity strategy. It's fine for companies whose pension liabilities are relatively small, but smaller companies have been drawn into this and they can't really afford the downside. Good governance now is about hedging risk as much as possible. Not everybody is where they should be on that. But as long as FDs take account of the equity risks they are carrying, it's much less of an issue. Are FDs right to substitute contingent assets for cash contributions or security? SW: We are professionally sceptical about contingent assets. These come into play where a company needs to repair its deficit but hasn't got the available cash to do so without hurting the business. The trustees are unlikely to push the argument too hard because it's a long-term relationship and they are hoping the scheme will be attached to the company in the future. That's where the trustees would benefit from contingent assets to help plug the cash gap. "We try to take a more holistic view where the covenant assessment, investment strategy and actuarial funding advice are linked up much better than they have been." PT: These arrangements are advice intensive and careful due diligence is needed. The special purpose vehicles that are created are structurally complex, difficult to value and often lack liquidity. They are challenging for trustees to assess and the more complex ones are subject to the law of unintended consequences. What value can an independent trustee board bring? PT: There is an integral long-term dependency between scheme and employer both in terms of funding and membership. However, the interests of key stakeholders - shareholders, bankers and scheme - are not naturally destined to coincide. The trustees may not have the depth of expertise when difficult choices have to be made. The pensions governance and regulatory framework needs to provide the necessary checks and balances. But this is about a balance of stakeholder interests and these checks and balances need to be proportionate. DF: They effectively have to deal with another board, which is independent of the company. This is an interesting and quite challenging relationship. Since the Pensions Act of 2004 it's very difficult for a finance director to be on the board of a pension scheme. In some situations, such as during one of the three-yearly actuarial valuations, when a funding recovery plan is being negotiated, the FD is in a very difficult position regarding their knowledge of the financing needs of the company and affordability of the scheme. So what was treated very much as a board linked with the company has developed a great deal of independence. This means that sometimes the trustee board can lack independent or internal in-depth financial knowledge of the company. Advisors such as ourselves bring trustee boards up to speed. To what extent should FDs value independent covenant assessments? PT: Covenant assessment is a developing area and generally the value is increasing. Assessments themselves are becoming better, more forward looking and more integrated with corporate information sharing protocols, risk management information and forecasting. Equally, trustee boards are learning to use assessments more effectively in the overall assessment of scheme funding risk, affecting levels of prudence adopted for valuation, investment strategy and the appetite for de-risking. DF: This isn't a threat for the sponsoring employer. In many ways the more professional the trustees, and the more experienced they are in finance, the easier it is for the FD to deal with the trustee board. Advisors like us are using the same financial language as the FD and have no axes to grind or emotional involvement. SW: Having said that, some of the covenant assessments that have taken place have been rather routine assessments of key financial ratios from current statements. They haven't really looked deep enough under the bonnet at underlying factors and how the business is evolving. We try to take a more holistic view where the covenant assessment, investment strategy and actuarial funding advice are linked up much better than they have been. 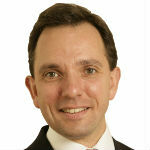 Paul Thornton, chairman, pensions advisory, Gazelle Corporate Finance. 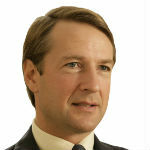 Donald Fleming, managing director, pensions advisory, Gazelle Corporate Finance. 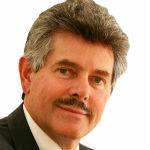 Simon Willes, executive chairman, Gazelle Corporate Finance.